You save -11% from the $354 regular price! Get all the effect plug-ins from Tek'it Audio, distort, filter, gate, chop, cut and equalize with this five plug-ins for musicians, producers and sound designers. 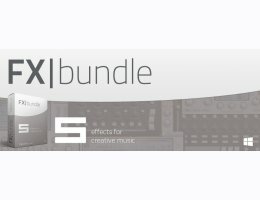 Save more than 40% compared to price of individual plugins.